I received an email recently from a friend who serves as an operations manager for one of the top environmental engineering firms. He was asking for advice on how to balance meeting a utilization goal of 75% and managing a staff of 70 in five offices. His predicament, unfortunately, is not uncommon in our business. Is 75% a reasonable utilization goal for a manager of 70 people? I don't think so. I assume the expectation is he will find the needed time for management activities by working extra long hours (one of the perks of promotion!). Or perhaps they think operations doesn't require much time. I remember when I stepped into an operations management role for an office of 40. My predecessor told me it would only take about 10 hours a week. I was never that efficient! But my point isn't really to debate how many hours are needed. I'm more concerned about holding managers to personal utilization metrics. I can imagine the rolling eyes at that statement, but hear me out. By definition a manager accomplishes goals through the efforts of others. His or her primary job is helping others fulfill their responsibilities and maximize their productivity. If the manager's team or work group meets its composite utilization goal and other metrics, does the manager's personal utilization really matter? I think not. Yet companies continue to micro-manage individual manager ulitizations. Not long ago, I had to gently chide a client for complaining in a management meeting that one of his regional managers was well below his personal utilization goal. This happened to be the manager of the firm's best performing office which was almost 8 points above its budgeted utilization! Such myopic focus contradicts what I believe is one of the hallmarks of effective management--what I call the Time Investment Principle. This principle states that the best way for a manager to increase his or her productivity is to give priority to helping his or her staff increase their productivity. In that way the manager's contribution is multiplied through the efforts of the team or work group. 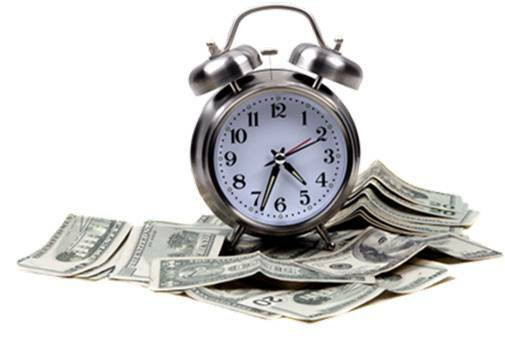 Failing to apply the Time Investment Principle is one of the most common mistakes managers make. The temptation is to focus one's time on individual responsibilities to the neglect of the staff's need for direction and coaching. High utilization goals for managers only exacerbate the problem. Many firms need to rethink their metrics, shifting the emphasis to measures that encourage greater collaboration and synergy, not less. As strategy today is a subject of application, rather than a discipline, the obvious underpinning disciplines for strategy are economics and organizational sociology. You should employ them to define a structure in which the process of strategy formulation and its implementation are bound together.